and if i forget....you can always watch the fansite about Neil ofcoursehttp://www.neiltaylorfanclub.com. There's a contest going on now with lovely prizes. Subscribe to the website and you have a change of winning a great prize. HOTEL Babylon actor Max Beesley joined his dad to launch a campaign for a Manchester blood donor centre. The Burnage-born star of the hit BBC show is helping the Plymouth Grove Blood Donor Centre persuade more people to become 'platelet' donors. Platelets are tiny cells which help blood clot and are crucial for treating leukaemia and other cancers. The Plymouth Grove centre is one of a handful in the country equipped to remove them from donors' blood. The centre's Ten Campaign aims to persuade people to donate up to 10 times a year. Max's father Maxton, 63, from Levenshulme, has been a blood donor for 40 years but has had to stop after developing prostate cancer. He said: "We are in desperate need of donors. People only get involved in donation when someone in their family gets injured or falls ill. It's incredibly frustrating." For further details on the Ten Campaign and platelet donation call 0845 7 711711 or go to www.blood.co.uk . congratulations all 3 of you! So go check the email i sent you earlier to see if you have a winning number. Lost the email with your number? sent an email to: neiltaylorfanclub@hotmail.com asking for your number for the contest. How to claim your prize? return the email with your number and add your full name and adress on it so i can sent the prize to you. Further i added some new pictures in the pictures section on the main site as well as the myspace site. so go check them out. Who Is Chris Sharrock ? Last week Noel confirmed that Zak has left the band at that former La's drummer Chris Sharrock is taking over. Chris Sharrock is the power behind Robbie Williams and has without doubt established an international reputation as a leading drummer with one of the top pop acts in the world. Since his career began over two decades ago, Chris has built up an impressive back catalogue which includes playing on the first real Britpop classic, There She Goes by The La’s and recording one of the most popular songs of the 90’s, Three Lions On A Shirt. Chris has also worked with Karl Wallinger & World Party, The Lightening Seeds, Terry Hall, Dave Stewart and Lou Reed before getting the esteemed Robbie Williams gig. Chris began working with Robbie in 1997 and performed on his triple platinum debut solo album “Life Thru A Lens”. Since then Chris has gone on to perform at some of the biggest live concerts in recent years including Robbie’s three consecutive shows at Knebworth, England where the band perfomed to over 375,000 fans. Chris was also involved in the first ever televised High Definition live performance with Robbie in September 2006. Neil gave me permission to put one of the new songs on the fansite! The song is called "Don't Drive My Car". And for your entertainment i placed it in a photoslideshow so you can watch lovely pictures of Neil at the same time. To see the video you have to be a member of the fanclub though. How you can become a member of the fanclub you can read HERE. People who already subscribed for emailnotifications i already gave full member acces. You only have to create a password and give emailconfirmation about it. I hope you all like it and please leave a comment about it on the site...in the guestbook or the forum on the fansite. As you all could read in the last blog...we had 3 winners for the contest. The first prize winner allready claimed here prize it was Larissa from Australia! congrats to Larissa! and the prize is sent here way. The other two prizes are not claimed yet by the winners. So don't throw away your email with your number yet!! if you did...please email me at neiltaylorfanclub@hotmail.com and i will sent you your number again. In about a week i'm going on holiday for 3 weeks....the 10th of august i will be back, well rested and hopefully with some more news.....you never know if Neil might call me again like he did last year on my vacation. Thankyou for the link, great news and song !! i know ..i know its been a while...i do have a good excuse..my broadband has been down and ive been in london,there hasnt been much time at all. Please dont all cry at once but..im away for 2 weeks from thursday..going on holiday to spain..i hope you can cope with this..i do realise its gonna be difficult,but please hang on in there. On a brighter note,ive completed another song for my album...its called 'Blood from a stone'its a bluesy track..dont know how that came about! !There are a few reasons why the album is taking soo long...excuse 1...ooh i've been away alot excuse 2...well i was ill for 2 weeks excuse 3...been down the pub for a few months...yes but its been a year and a half since you started it..i can hear you say!lets just say ive had writers block for almost the same amount of time!it will be like a fine wine..thats if i aint drunk it!! I will be doing a video next month for 'Dont drive my car' so its imminent! !Winny[in my top friends has made a video for it already!! Wow a bluesy track, great I love blues, can we hear it already ? Atrix wrote: Wow a bluesy track, great I love blues, can we hear it already ? no we can't hear that song just yet. Only the song "don't drive my car" can be heard at the fansite. Your site looks great, I like the portal's picture. OASIS’ return to the spotlight moved up a gear after the band confirmed tour dates for this autumn. Sadly though the Burnage boys will not be playing Manchester on their 18-date jaunt, instead plumping to make their debut at the new Liverpool Echo Arena (Oct 7/8 ). The Gallaghers and Co, who last played here in 2005, will take to the road to promote seventh studio LP, Dig Out Your Soul, which hits the shops on October 6. 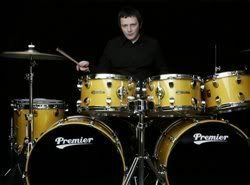 Former La's and Robbie Williams drummer Chris Sharrock will replace Zak Starkey behind the kit for the dates. We had a great holiday..johnny was in the pool most of the time..it was very relaxing..drinking..eating...sunbathing..though im whiter than when i went i think!! MY ALBUM..yawn... well ive been writing some more songs with steve..hes finishing the lyrics..im sorry for apologising all the time about it but sometimes its down to no motivation..no time,when you're so busy doing nothing its hard..i still really want to finish it..i want it to be the best it can be and im getting happier with what ive achieved so far.. I'm back from my holiday well rested like Neil as you can read in his blog. And ofcourse i have some news for you. As i announced in the previous blog i would choose a new number for the winner of the last contest if one of the numbers wasn't claimed by the original winner. 2 winners didn't claim their prize and therefore the new numbers/ winners are number 21 and number 6. I hope you all have saved your number i send you by email before. If you don't know your number anymore please send me an email. I hear you thinking...what where the prizes again? The winners have both won a signed (by Neil ofcourse) fanclub postcard and a original plectrum from Neil. But i have more news for you all....how would you like to hear another new song? Well be patient...Neil promissed me to sent another new song wich is not going to be on the new album. So keep checking the main website or if you subscribed for emailnotifications check your mail. I will let you know when i put it on the site on the members page. ROBBIE Williams' guitarist Neil Taylor, from Bradford on Avon, has used his time away from touring the world to work on his own album. Mr Taylor, 47, of Coppice Hill, has collaborated with renowned singer/songwriter Steve Torch to produce his first joint album called Bullets for Angels. The guitarist, who has lived in Bradford for four years, has worked with Tina Turner, Tears For Fears and Van Morrison before joining Robbie in 2001 to work on the artist's Sing When You Are Winning album. He was asked to join Robbie's band in 2002 and is recording and writing his own music in between performing with the ex-Take That star. Mr Taylor, who grew up in Bristol, said: "The album is kind of a rock album. It is very guitar based." Making his own album is a personal triumph although Mr Taylor classes being in Robbie's band as the highpoint of his career. advertisementHe said: "He is amazing to work with. For me it is a dream come true. "When I first got the gig with Robbie I just couldn't believe it. "I feel I am at the top of my tree, especially working with Robbie. For me he is the best." Bullets For Angels is available to buy online for £8. It is available to order from his website www.silvermusic.tv or www.myspace.com/bulletsforangels. Mr Taylor is also planning to release his own pop rock album at the end of the year. @dropstar: who is angry...neil,rwismyhero or you mean me? ?